Exercise and warm-up all with one system! 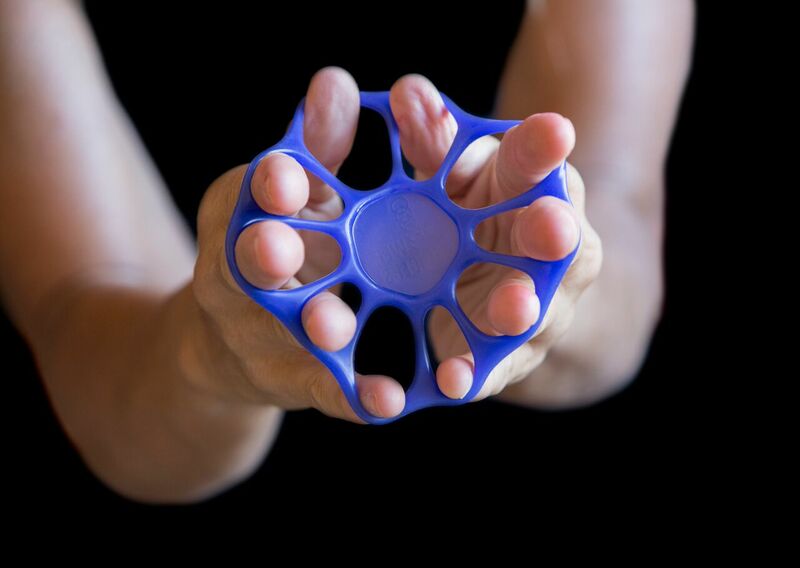 PowerFingers is lightweight and portable. 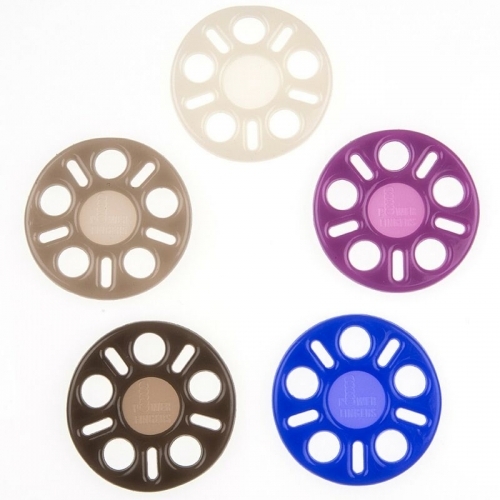 Each set includes 5 rings in a case; and each ring increases in resistance. Resistance is almost unlimited, up to 125 Multiple Power combos. Ideal for Athletes, Students, Teachers, Coaches, Amateurs and Professionals. PowerFingers are latex-free. Lack of latex keeps PowerFingers delicate enough for intricate finger exercises as well as helping to keep latex allergies at bay. Our product is durable enough for constant stretching/exercising. Some exercises require a further stretch and this ok; just remember that our product is not indestructible. 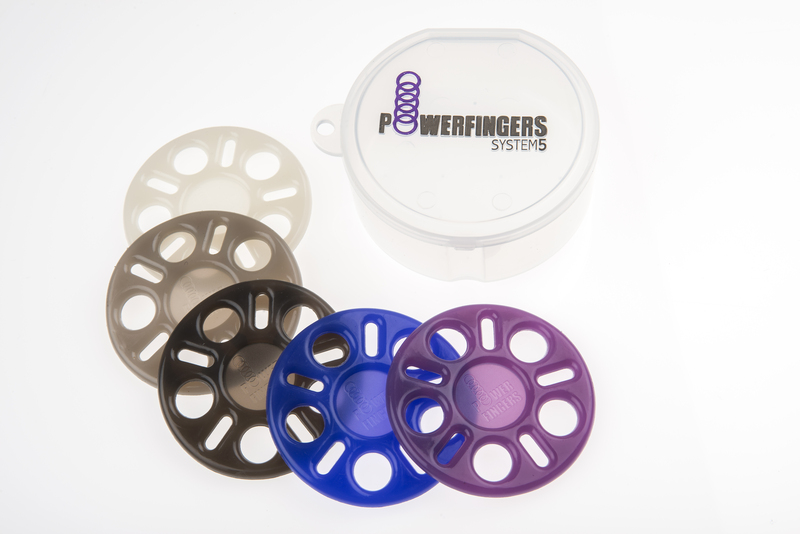 Your PowerFinger rings will wear and may eventually break and need to be replaced. If this happens within the 90 day warranty period, we will provide a replacement for free. The information on this site is not intended or implied to be a substitute for professional medical advice, diagnosis or treatment. All content, including text, graphics, images and information, contained on or available through this web site is for general information purposes only. System5 makes no representation and assumes no responsibility for the accuracy of information contained on or available through this web site, and such information is subject to change without notice. You are encouraged to confirm any information obtained from or through this web site with other sources, and review all information regarding any medical condition or treatment with your physician. NEVER DISREGARD PROFESSIONAL MEDICAL ADVICE OR DELAY SEEKING MEDICAL TREATMENT BECAUSE OF SOMETHING YOU HAVE READ ON OR ACCESSED THROUGH THIS WEB SITE. System5 does not recommend, endorse or make any representation about the efficacy, appropriateness or suitability of any specific tests, products, procedures, treatments, services, opinions, health care providers or other information that may be contained on or available through this web site. SYSTEM5 IS NOT RESPONSIBLE NOR LIABLE FOR ANY ADVICE, COURSE OF TREATMENT, DIAGNOSIS OR ANY OTHER INFORMATION, SERVICES OR PRODUCTS THAT YOU OBTAIN THROUGH THIS WEB SITE.